How do you develop new habits in life? Why should I use a habit tracker template? One of the most critical components of successful planning and goal-setting is writing things down. Writing or illustrating our plans on paper sets a new level of expectation. We put things in writing to signify our commitment and belief that the events we write down will come to fruition. Habit Trackers for the Win! Writing an event down signifies its importance to us. We write down birthdays, vacations, holidays, due dates, and appointments. When we go food shopping, we make a list. Many of us also use writing as part of a more general goal-setting process. But can writing make a difference in effecting a major behavioral modification? Yes! In fact, people across the globe are discovering how to supercharge their self-improvement strategies by using a habit tracker. What is a Habit Tracker? Habit trackers come in many forms. 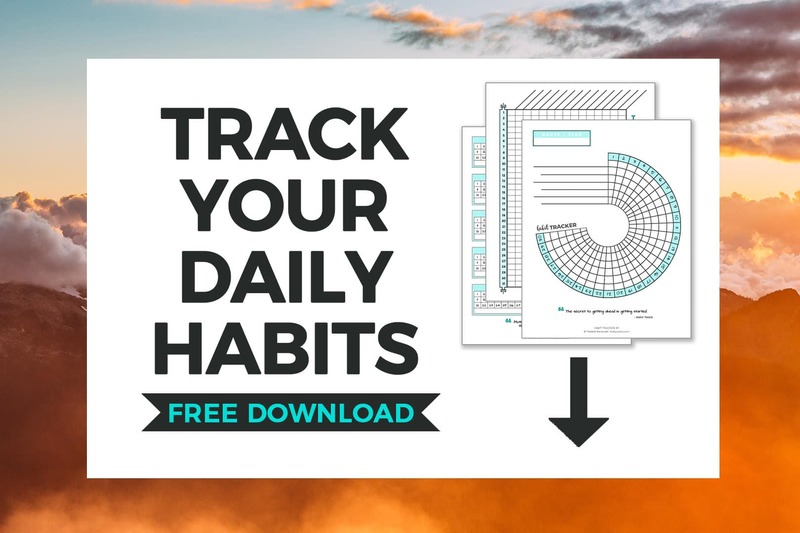 Most people who use this quintessential tool for habit modification typically purchase a habit tracking app, download a habit tracker that is printable, or design and draw their own habit tracker on paper. Handmade habit trackers are especially popular in bullet journaling communities; however, the concept of maintaining a weekly habit tracker has even gained steam among those who prefer to use the latest technology over traditional paper. One of the most popular examples of the tech industry’s response to the growing demand for habit trackers is Momentum, an app that is based on comedian Jerry Seinfeld’s “Don’t Break the Chain” strategy. For most people, drawing or downloading a printable habit tracker is the easiest way to begin exploring how to use a habit tracker. Hand-drawn habit trackers can range from very simple to extensively detailed. The classic weekly habit tracker is comprised of a grid of small squares. The horizontal rows correspond to each day of the week. A simple tracker typically features a label that describes a single behavior or habit the user wishes to reinforce or modify. Each day the user completes the desired behavior, he or she will color in the square that corresponds to the weekday, forming a chain as the user continues the pattern of compliance. More complicated versions of the classic tracker include vertical rows at the top of the grid for cases in which the user has multiple things to track in a habit tracker. The inverse of the classic habit tracker, which records instances of active compliance, is the negative habit tracker. 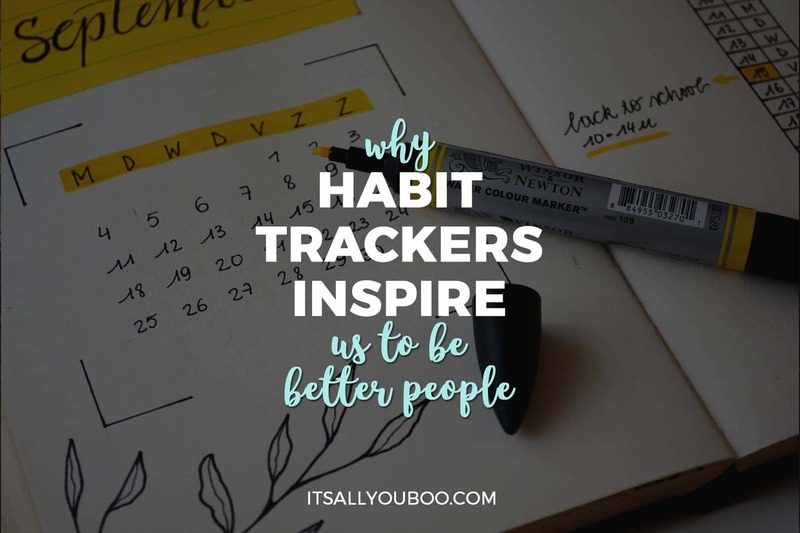 A negative habit tracker can be used to track occurrences of a bad habit. A negative habit tracker is comparable to the “swear jar,” a tool many people use to curb their use of profanity. Negative habit trackers may also be used by individuals who are in the very early stages of habit modification and would like to assess the full extent of an undesirable habit. A person who is attempting to consume less alcohol may decide to track the occasions on which he or she drinks alcohol within a week or month. Counting the occurrences of a negative behavior can provide compelling evidence that change is necessary by visually illustrating the level of frequency with which the person engages in the negative behavior. The world of habit trackers extends well beyond classic weekly and monthly trackers. There is a vast assortment of much more creative, non-linear types of habit trackers, some of which incorporate game formats like Bingo and illustrated graphics that are filled in as the user nears the ultimate goal. The sky is the limit when it comes to designing and customizing a habit tracker. Despite beginning with honest intentions, most initial attempts to make major behavior modifications end in failure. A simple study on New Year’s resolutions provides evidence of this phenomenon. Business Insider reports that on average, an astonishing 80% of people abandon their resolutions within the first six weeks of the new year. Our holiday resolutions are no different than the lifestyle goals we set throughout the year. Making a long-term behavioral change is a difficult process. However, we can improve our success rate by examining the reasons we fail and by strategizing accordingly. The most common reason resolutions fail is lack of enjoyment. A study published by the Personality Social Psychology Bulletin journal indicated that people are more likely to be successful at adopting healthy habits if they receive an immediate reward each time they practice the new habit. In addition to lack of enjoyment, overestimating the degree of difficulty is another reason people often fail when attempting to develop a new, healthy habit. Due to the speed at which we travel in today’s world, a busy lifestyle can often be a barrier to successful behavior modification. People are tired and more overstretched than ever. Therefore, the temptation to forego investing additional time and effort into preparing healthy meals at home, going to the gym, or meditating daily can be pretty strong. This is where habit trackers enter the picture to help us remain persistent and ultimately achieve our goals. We often engage in similar dialogues when the mere thought of making the effort to keep the original plan seems less enjoyable than falling back on a less healthy plan B. This happens in more subtle ways when we simply don’t feel like practicing the new habit we are attempting to adopt. Instead of being written off as a basic lack of motivation, this feeling can also be interpreted as an impulsive response to the absence of immediate results or an upfront reward. For most of us, if we do not see an immediate benefit to choosing a certain action, we may simply avoid the action and seek something that appears to be more immediately rewarding, even if the alternative is not healthy for us. Maintaining a habit tracker delivers an immediate sense of satisfaction every time the user is able to visually indicate that he or she has met the daily goal of practicing the new habit. Most people record these comparatively smaller, but critical daily successes on their habit tracker by coloring in one square that corresponds to each daily success or by placing a checkmark. Most habit trackers incorporate an aesthetically-pleasing component that creates the visual reward of building a chain, adding a new color, or completing a small portion of a larger design each day the user practices the new habit and is able to add an entry to the tracker. The presence of everyday triggers and temptations make habit tracking a necessity. In addition to helping us measure compliance, habit trackers also serve a general record-keeping function. When the busyness of life sets in, we may legitimately forget to take our daily vitamin or that we have not yet had our eighth cup of water today. Habit trackers provide a mile marker each day to remind us of where we are and what we need to do in the present to continue on the path of lasting self-improvement. For those of us who are new to tracking our habits on paper, it is advisable to begin by tracking a single habit in a basic weekly layout. Large goals become more manageable when we break them down into smaller benchmarks. Pursuing a larger goal on a day-by-day basis reduces the temptation to fixate on the long road ahead, which most often leads many of us adrift down the river of discouragement that statistically flows into a sea of broken resolutions and unmet goals. Starting small by focusing on practicing the new healthy habit one day at a time makes the process of getting through the initial resistance more manageable and the thought of making a major change less overwhelming. When choosing a format for a habit tracker, aesthetics are as important as functionality. A tracker that is too plain or that is visually unappealing is much more likely to go unused than one that has a design that is easy to use and visually stimulating. Therefore, the user should choose carefully when considering layout, design, and colors. If necessary, a printed habit tracker templates can be personalized by adding stickers, hand-drawn details, and motivational quotes to make using the tracker an encouraging experience that is also visually rewarding. After settling on a style, the next step is to draw or print the tracker template at least one day prior to the beginning of the tracking period. It is important to completely finish setting up and personalizing the tracker prior to beginning to use it. Attempting to use a tracker with a handmade design that is partially unfinished can easily detract from the overall aesthetic value and ease of use. The internet offers a wealth of information and design ideas for those of us who are beginners at habit tracking. People who enjoy bullet journaling have transformed habit tracking into an art form as new design ideas are shared daily among the millions who participate in online communities. For those who are less artistically-inclined or who simply lack the time and desire to create their own weekly habit tracker by hand, downloadable templates are available to suit virtually every aesthetic preference. Although habit modification takes work, the act of tracking improvement can be fun and therapeutic. For many people, habit tracking provides an artistic outlet, and for everyone who implements this self-improvement strategy, each daily entry signifies its own small victory along the road to greater success and better living. 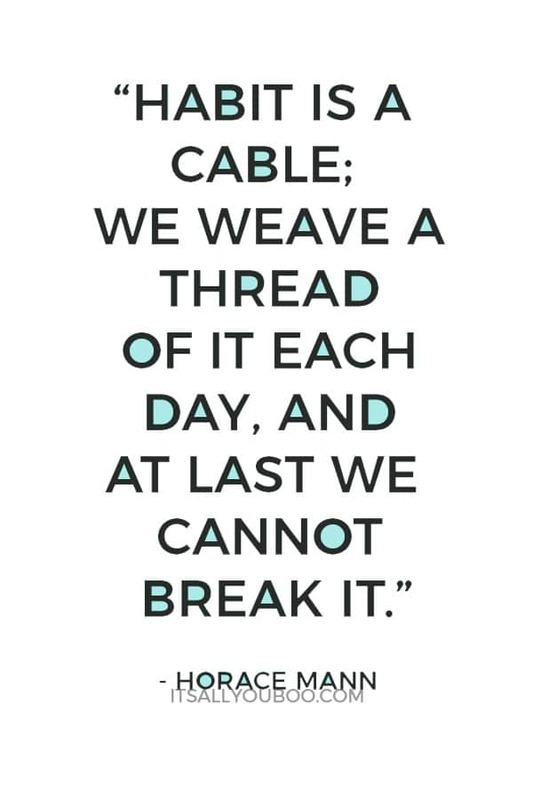 Ready to make a new habit stick? Get your FREE printable habit tracker templates, with spreads for 30 and 31 days. Do you use a habit tracker to make new habits stick? Featured on the award-nominated productivity podcast, Beyond the To-Do List, Rolanda L. is a professional organizer and productivity coach in New York City. 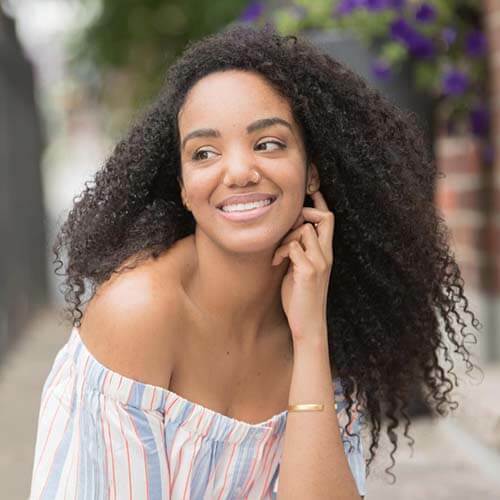 Nicknamed the “Holistic Home Organizer,” Rolanda’s comprehensive, wellness-centered approach to organizing and productivity has high profile executives, tech startups, and families across New York City optimize their lifestyles at home and at work. Habit trackers are so great! I’ve been using on in my dayplanner for a few months now and it is so awesome! There is just some fun satisfaction in coloring in little squares that feels like an accomplishment! Totally agree, Amanda! It is really satisfying to see your progress represented visually! Do you use a bullet journal as your dayplanner? Wow, where have I been?! I haven’t heard of Habit Trackers!! Sounds like a fantastic idea and I can totally get how it would help in my crazy daily life schedule; shall look into these for sure! I like to jot down certain important things to avoid forgetting them. If the printable habit trackers are available, I will be really handy for me. They’re great for people who are already inclined to write things down! Thank you for such a wonderful idea! I also am a person of routine and it gives me so much fulfillment to know that I have done everything on my to-do-list for the day. Daily to-do lists are great! Habit trackers give you the added satisfaction of being able to quickly look back over the course of an entire week/month and feel proud of your consistency. I am so addicted to that sense fulfillment. Check! I recently got into bullet journaling and I love my habit trackers. They really keep me on track and point out when I’m falling out of my routine. Bullet journaling is so much fun – I love hand drawing in a habit tracker. Although, I will admit I do like just printing them out sometimes too. This post is spot on. I’ve been using my bullet journal for a couple years now, and the spread that always makes me feel like I’ve accomplished something during the month is my habit tracking spread. All those boxes filled in just makes me feel so good! Right there with you, filling in those tiny boxes on my habit tracker every day literally gives me life! It’s honestly our most powerful tool, in this day and age, we seem to forget the power of pen and paper. Totally useful and informative post, I love to keep track of my tasks in my planners and post its, these trackers are great! Thanks, Iau for the blog post love! Agreed, Rolanda did a great job on this one. I’m a huge fan of tracking habits – although I didn’t really think about the fact that it was what I was doing. I hadn’t ever heard of an actual habit tracker – but when I’m working on establishing a new habit, I keep track of it. One of my big ones is how much sugar I’m consuming – especially when I’m attempting a sugar-free challenge! Yay for loving habit trackers. Ohh, I like the idea of using them to track what we’re eating, such a great idea for a negative habit. You are quite right! I love the concept of personal accountability, a lot of the time when we talk about it it’s about other people. But we’re in this, and we have to hold ourselves accountable for our own success, and habit trackers are perfect for that! These look amazing! I am a planner addict. Definitely, agree that jotting down goals and making manageable to-do lists helps with productivity. Its also gives a great sense of achievement when you look at your old planners and see how far you have come along. 90% of the time I find that knowingly unknowingly I am able to achieve the goals I once listed in my planner. Glad you’re loving the habit trackers. What can I say I’m addicted to designing planner pages and printables, it really brings me joy. Oh my lock me up and throw away the key, because I am too! Can’t resist those tiny check marks. Aren’t they! I love checking off those little boxes every day. Just started a new habit this morning and I am going to keep track with a printable habit tracker. Yay for creating new habits that stick! Thanks Sierra! You’re so right. Habit trackers are vital to maintaining consistency and measuring results! Nadalie, I love your blog and it seems like I every post I read relates to something I need to do in my own life! I haven’t jumped on the bullet journal bandwagon yet, but one of the things I love about the one my friend created for herself was the mood tracker. 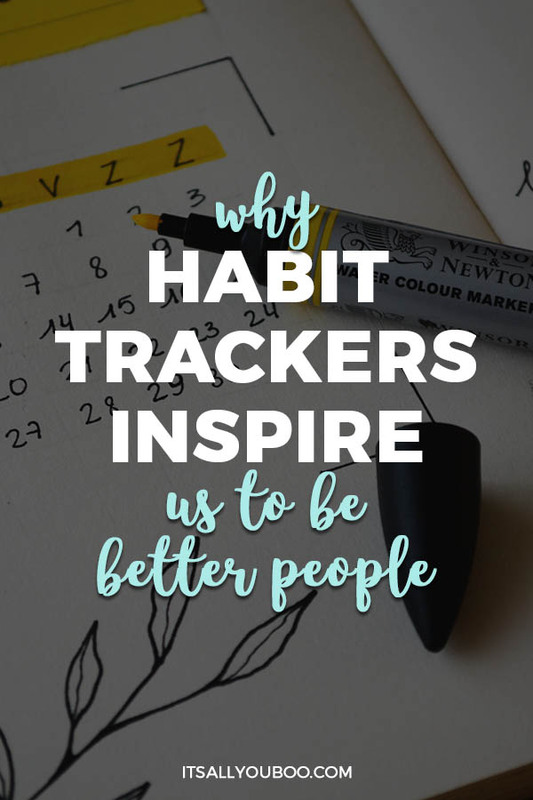 I never really thought about tracking habits until I saw that and read this post! The first thing that came to my mind was tracking refined sugar! I bet I have a piece of candy more often than I even realize I do! And I really, REALLY love the idea of an app. It doesn’t seem as overwhelming to me as trying to put together a bullet journal. As always, great post! Aww thanks so much for the blog love. I am big fan of yours too. Honestly, that’s the goal, to speak the honesty and offer relatable advice to these issues we’re all facing. OHH I love the idea of a mood tracker, I’ve seen some really creative ones. You actually just gave me the idea to reach out to this blogger I’ve seen on Pinterest asking if she’ll guest post for us. Apps make everything so much easier. I’m still staling on starting a bullet journal, I have all the supplies, I just haven’t started it as yet. I have done some of these, but didn’t put a name to it. You are correct in the need we have for instant gratification, and how habit trackers can keep us moving forward. I am going to start a new one today! Thanks for a great article! Love that you’re intuitively tracking your habits. I’m all about these cute trackers, so helpful to stay motivated. Yay for forming new habits! I agree with all you have said here. We fail because we give up half way and want instant gratification. Having a habit tracker makes a lot of sense. We do, we love to give up, especially when there isn’t that instant reward or feeling of gratification. BUT, I can tell you this, staying in it for the long haul leads to the most euphoric sense of accomplishment. When we become addicted to that feeling, we’ll keep going and not give up until we get it again. It would be impossible for me to track all of my habits. But I try to track the ones that really matter or that create a domino effect. That ususally helps. Any other bad habits just need prayer. LOL! Haha, we can’t possibly track them all. 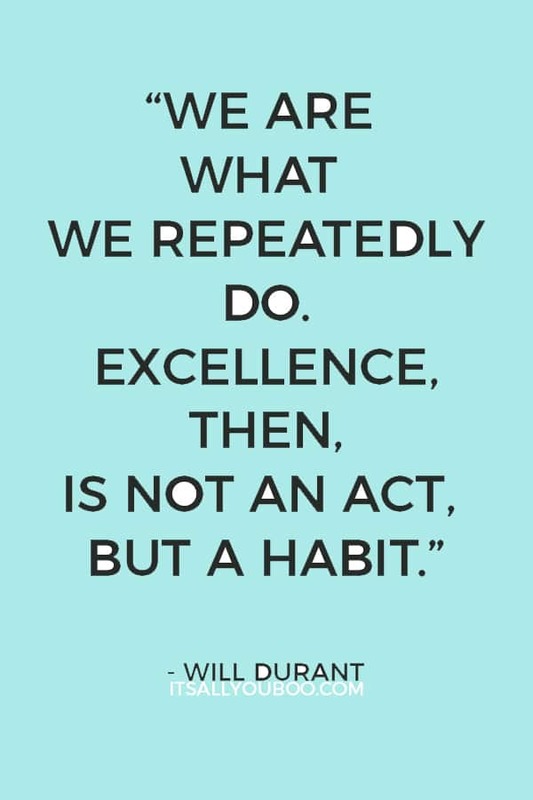 I’d say that 90% of what we all do each and every day is by habit, running on autopilot. Tracking is just for new habits we’re trying to form and make stick. I’m an advid planner so I absolutely love anything that helps with keeping me on track. I am trying to get better with using a habit tracker so I can become more disciplined in the areas I need to. Me too! I am a planner junkie too. Habit trackers to so fun to use. I just love making this little check marks every day. Feels good to look back at how far I’ve come, even if it’s just a couple days. You are quite right, it helps with discipline!